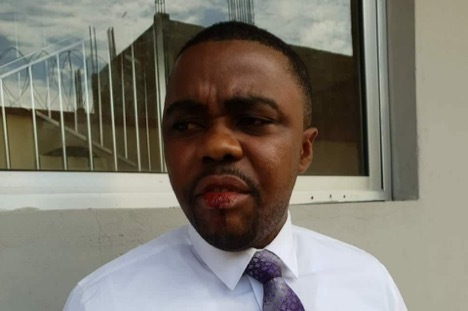 A Nigerian man, Ayodeji Bejide, who is the Managing Director of Guaranty Trust (GT) Bank, Liberia, has been arrested for assaulting a staff of the bank, on Tuesday. Both Bejide and the staff, Edward Freeman, were at the police headquarters upon which the MD was detained while Freeman was told to seek medical attention. In a video, circulated on social media, Freeman was seen with a bloody lip. Bejide allegedly threw a calculator at him during a disagreemet at the bank’s 13th Street head office in Sinkor, Monrovia. Former GT Bank Liberia employees who shared similar experience said Bejide is noted for verbal assaults against employees, especially Liberians. It was gathered that Freeman was assaulted for not submitting a report on time as mandated by Bejide, following a review of the Board of Directors in its August 2018 sitting. A female employee also revealed that she resigned because of Bejide’s behavior, especially toward female staffers. She said Bejide looks down on employees and senior staffers as though they are his kids, and addresses them however he feels, in spite of one’s assignment and status.